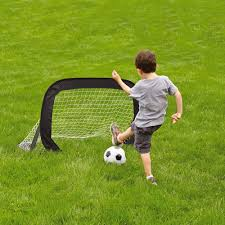 Travel sports goal is great for the backyard or park. Secures into the ground with 4 metal stakes, included. 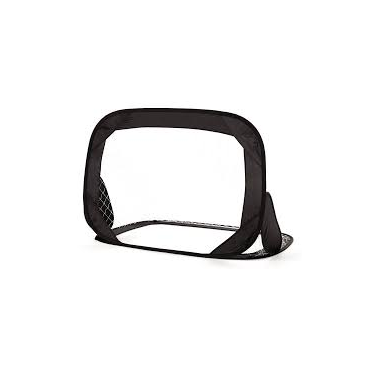 This portable net has a very sturdy construction and comes with a travel bag included. Ball not included. Super hand for my soccer loving kid. I love that it folds down and has a carry case. It fits easily in my car so we can bring it with us on day trips and camping trips alike.